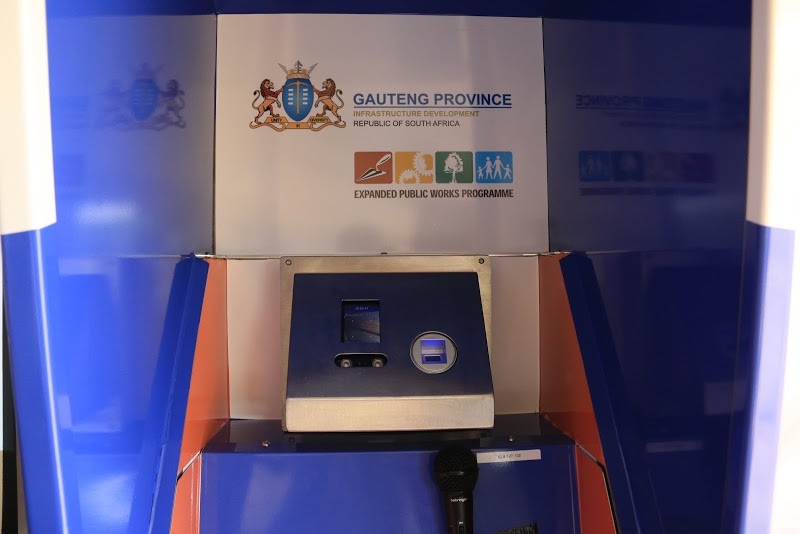 A new facial recognition and biometric identification system has been launched by the Gauteng Department of Infrastructure Development (GDID) in an effort to curb corruption and fraud within the Expanded Public Works Programme (EPWP). Unveiled at the Helen Joseph Hospital in Auckland Park on Tuesday, the new system uses facial recognition and fingerprint readers to biometrically verify the identity of every EPWP beneficiary, record their attendance on site and the hours worked, and ultimately generate payment reports. MEC for infrastructure development, Jacob Mamobolo, explained that the implementation of the new technology was vital and in line with Gauteng Premier David Makhura’s vision to make improvements within the department. “This new system is not only about modernising the department or Gauteng as a whole. This is more importantly about making sure that the EPWP is run in the most efficient way without any element of corruption,” he said. Introduced in 2004 under the administration of then president Thabo Mbeki, the EPWP was implemented in the various provinces as a way of alleviating poverty. The main objective of the programme was to provide income relief through temporary work for the unemployed. According to Mamobolo the government enrolls beneficiaries from indigent lists made available at all municipalities indicating individuals affected by poverty and unable to afford basic services. “This programme is a reflection of the failure of the economy to create jobs. It is aimed at the poorest of the poor in this country so we cannot let corruption and fraud affect and victimise them. We are leveraging this smart technology to protect EPWP out of manual paper work that will see those most vulnerable cheated,” he said. According to the MEC, acts of corruption such as double dipping by beneficiaries as well as requests for bribes from beneficiaries by those in senior positions are just some of the issues that need to be eradicated. “We are dealing with all kinds of corruption. We need to make sure that we don’t have one person benefiting from multiple EPWPs,” Mamabolo said. “Also to make sure that we don’t have people in managerial positions taking money from beneficiaries with the promise of doing them favours. We also want to make sure that we don’t have ghost emplyees where those who are no longer living are still receiving stipends due to fraudulent activity,” he added. The new system allows beneficiaries to have their face or fingerprint scanned as a way of identifying them and verifying that each person has signed in for work and is paid in accordance with the number of hours worked and that no other person can log hours for another. Charles Ledwaba (26) said he was pleased with the introduction of the new system because it would bring an end to fraud. “I know a lot of stories about people signing in for people who have not come to work but still get paid. I think this sytem will make us all work hard to earn our stipends,” he said. With each kiosk costing up to R30 000 to produce, Mamabolo said the GDID aims to roll out atleast 500 of them at different locations where beneficiaries are placed to work so they are able to utilise them as they need. EPWP beneficiaries have until March 31 to register on the system and remain as beneficiaries.